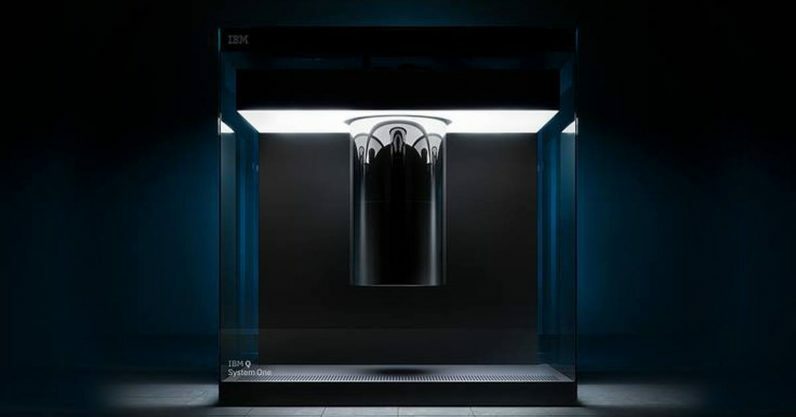 IBM recently debuted its System One quantum computer. It’s not the biggest or most powerful computer the company makes. But IBM thinks it’s the one that’ll end up in a museum 50 years from now, and it’s hard not to agree. TNW talked to IBM‘s CTO, Quantum Computing, Bob Wisnieff about what it was like to develop and build the System One. He told us the original idea was to show that IBM could build a reliable, functioning quantum computer that existed entirely outside of a laboratory. IBM‘s System One is unique. It’s a legitimate quantum computing system that exists in a big box. It doesn’t have to be connected to a giant cooling system inside of a lab (it has its own, just like a mainframe or a PC). And it doesn’t require a physicist to dive under the hood every time you want do something with it. In fact, IBM Q Network organizations can program and run code on it right now. What I like best is that we get to be in the right place at the right time for quantum computing, this is a joy project… This design represents a pivotal moment in tech. In the grueling race to build a practical quantum computer, tech companies are keeping their spirits up by loudly cheering every milestone — no matter how small. Kieren McCarthy of The Register wrote an article about the system with the headline: “If you’ve been dying to run some math on a dinky toy quantum computer, IBM may have something for you.” That’s a great headline. IBM might not think so, but it’s pretty funny. Once these problems got sorted, the IBM engineers and physicists then began working with design experts from Goppion, the company responsible for some of the world’s most famous museum-quality display cases, Universal Design Studio and Map Project Office. This was Wisnieff’s dream team. These companies were chosen after IBM‘s Director of Research, Dario Gil, gave Wisnieff carte blanche to find the best designers in the world. Wisnieff told TNW this was because Gil realized the significance of the project. There are plenty of qualified, sane experts who believe quantum computing technology will never amount to anything. Meanwhile, the physicists and engineers actually working on them understand they’ll be one of the most important advancements in human history. 50 years from now MIT’s physics lab, Google’s quantum research center, or IBM’s giant quantum lab won’t be faithfully recreated in a giant quantum museum. Instead, an actual quantum computer will sit inside one.